Holiday season has finally winded down just in time for another gift giving event, Valentine’s Day. Whether you’re celebrating with a special someone, or want to simply celebrate yourself, here are the perfect gift ideas that are ideal for travelers. What better way to present a gift to a fellow traveler than to have the packing item itself be the wrapping. 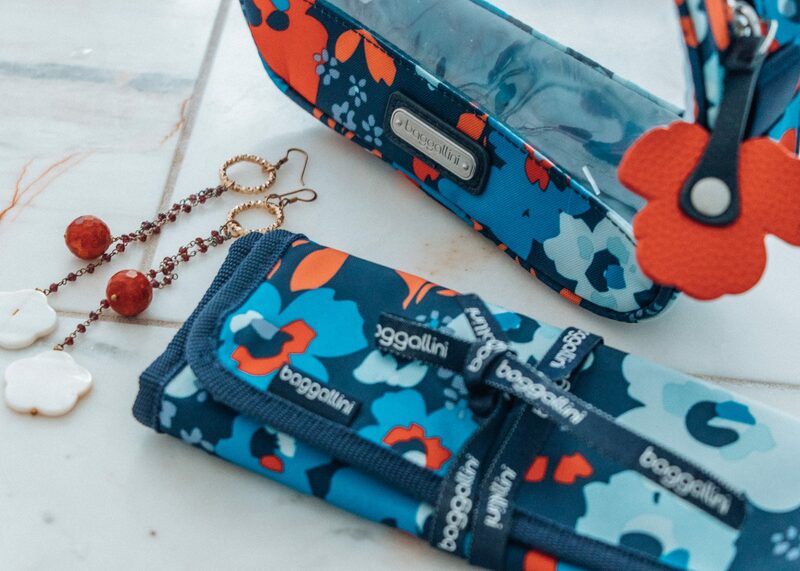 These flirty & colorful new items from Baggallini are a creative way to “wrap” Valentine’s Day gifts. Not only is this jewelry case possibly the most gorgeous print & presentation for a gift, but so practical. Ask anyone who travels with jewelry, one of the most obnoxious things you can spend your time doing is detangling necklaces. Avoid the hassle, and compartmentalize earrings, rings, necklaces, watches and more in separate, zippered pouches. Not to mention, the clear casing allows for visibility and easy access. Present this gorgeous floral, tied case with a small something in each compartment, or a stunning jewelry piece that your special someone can show off on their next jet set. What better way to any travel girl’s heart than a cosmetics bag filled with beauty and travel goodies? I would say nothing, except maybe a plane ticket! 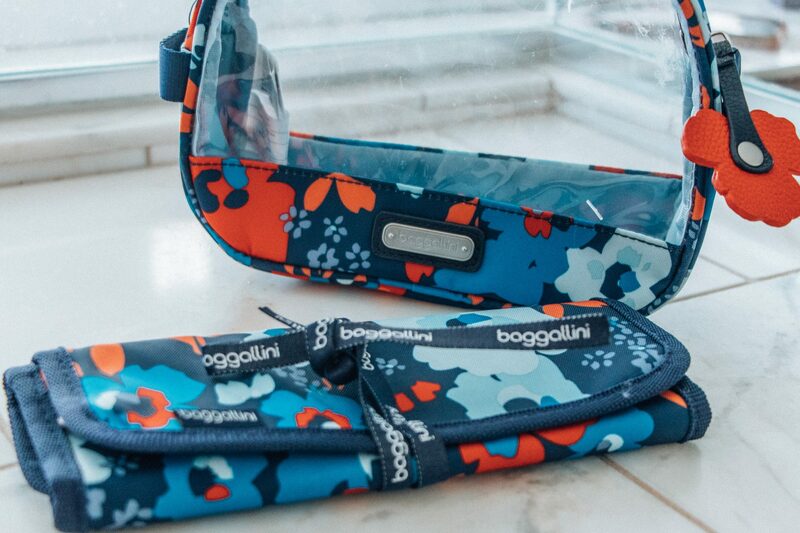 Baggallini’s clear cosmetic pouch with a pop of floral is the ideal organizer for any stylish traveler. The clear, water-resistance case not only protects your products, but allows you to see exactly what you need to avoid scrambling and digging. Throw in some of the latest travel beauty and tech trends to make for the perfect carry on pouch.